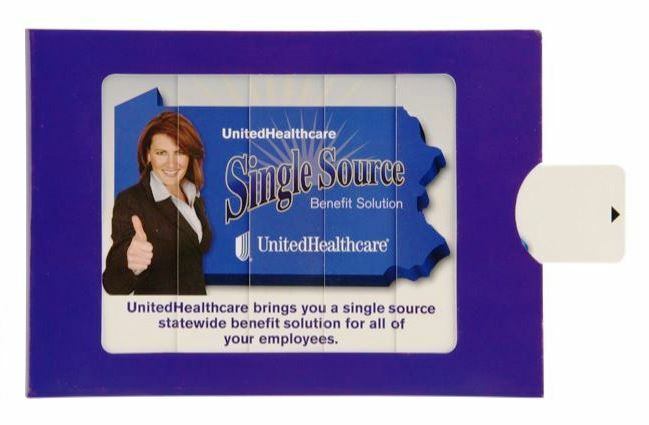 United Healthcare was launching its “Single Source” Benefits Solution campaign and needed a B2B direct mail piece that would educate HR professionals at key companies around the country. The Marketing team wanted a communication piece that would cut through the clutter and deliver an engaging message. Americhip’s team of Paper Engineers designed an innovative Picture Changer self-mailer that was engaging and informative. 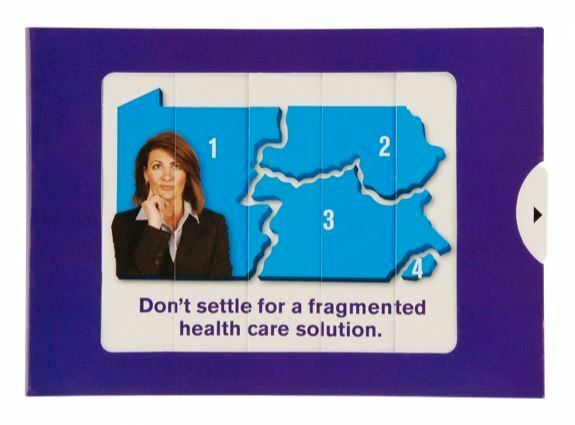 The front of the brochure incorporates Americhip’s proprietary picture changing technology and helps to communicate the transformative nature of United Healthcare’s unique Single Source platform. The brochure opens up to an extended inside spread—plenty of room to communicate the program’s important details. The Picture Changer design also includes a business reply card so that the HR professionals can request additional information immediately. Transform your next B2B mailer or brochure from a traditional, overlooked piece into a real show-stopper. Speak to your audience through a medium that motivates and inspires.